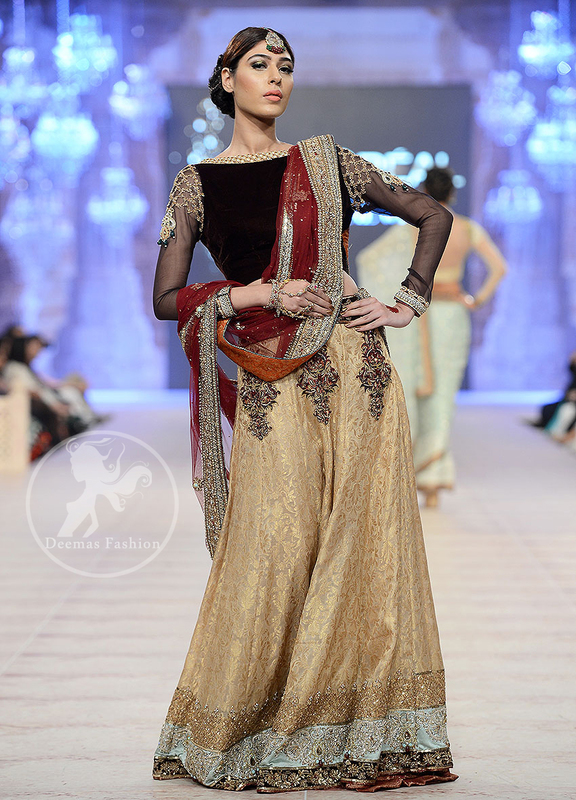 Tags: Choli, Couture, Dark Brown, Deep Red, Fawn, Lehenga, Pret. Dark brown velvet choli / blouse with chiffon sleeves. Embellished border and motif implemented on sleeves. 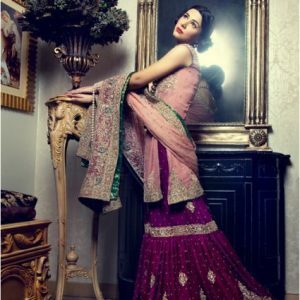 Fawn self jamawar lehenga. Lehenga have embellished borders at the bottom. Deep red pure chiffon dupatta. Dupatta having four sided embellished border. Small motif spray scattered all over the dupatta.